Welcome to Butoh Season 2014! A Butoh education and performance event that allows you to understand Butoh in Japan, Malaysia deeply, also the develop of Butoh in SEA. A joint work by Soubi Sha,and Japan Foundation KL, co-organized by Tunku Abdul Rahman Uni. 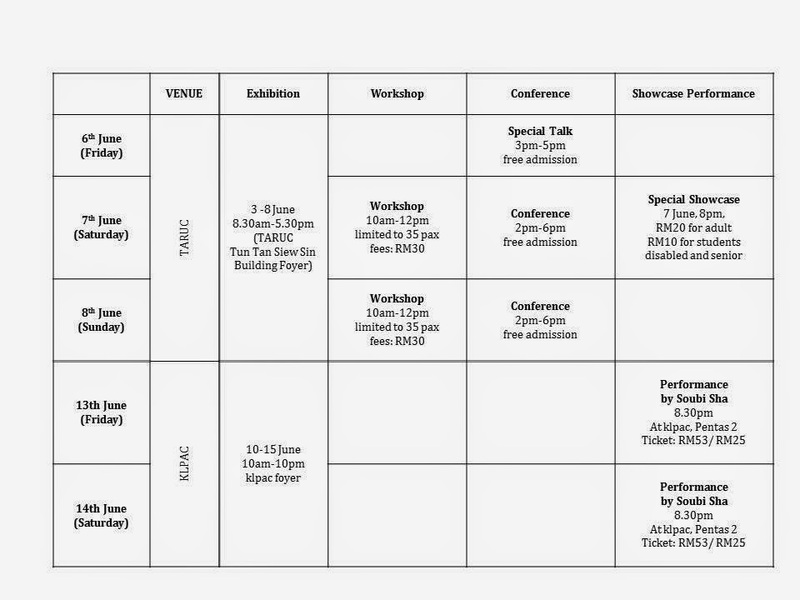 College, which will happen from 6-14 June 2014, at TARUC and klpac. 1. Hijikata Butoh Lecture & Video Screening, by Prof Takashi Morishita, Keio University Art Centre, Butoh Laboratory, Japan. 6 June, 3pm-5pm, Free Admission. 3. 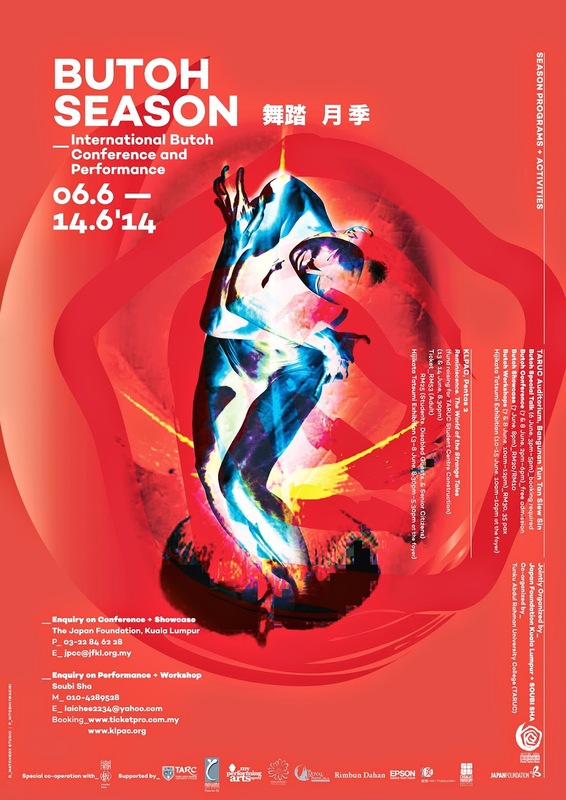 Butoh Conference (Highlight education program) by Butoh researchers and dancers from Japan, Malaysia and SEA. 4. Hijikata Exhibition @ auditorium foyer by Keio University Art Centre, Butoh Laboratory, Japan. 1. Butoh Solo showcase by Butoh dancers from Japan, Malaysia, & SEA. 1. Reminiscence. The World of the Strange Tales Butoh full length performance by Butoh master Yukio Waguri and 12 local dancers. 13-14 June, 8.30pm. RM53 for adult, RM25 for students, disabled and seniors. 2. 4. Hijikata Exhibition @ auditorium foyer by Keio University Art Centre, Butoh Laboratory, Japan.